The company was founded in 1883 in Heidelberg by Luce and Enslen. In 1889 businessmen Heinrich Koch and Rudolph Weber take over the business and transfer the production factory just outside Heidelberg. That's when Kaweco's story begins. The company is rapidly expanding, advertises its products intensively and opens partnerships around the world. Already in 1921 Kaweco employed 600 people and produced 130 thousand pens a year. The logo with the German shepherd appears after the end of the Second World War, when the factory starts production again. Classic design and high quality manufacturing are always at the heart of the company's philosophy. 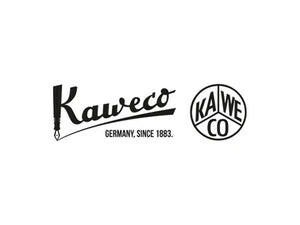 Kaweco products are currently sold in more than 40 countries.